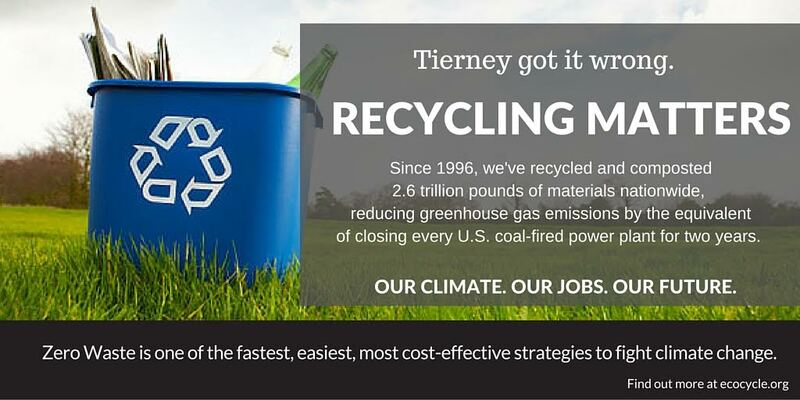 Vickerey has been working with Eco-Cycle for many years to reduce the amount of material they send to the landfill. 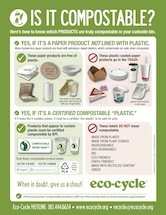 On a consistent basis, they recycle almost seven tons of material annually and compost nearly 600 pounds! 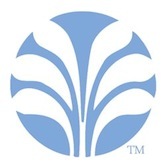 As a result of their great work, BI Incorporated and Vital Network Solutions have reduced their carbon footprint equal to have the equivalent of 25,000 gallons of gasoline from being consumed! This Boulder-based sun hat company recycles all packaging that they can, including plastic film and cardboard. In the past two years, they've diverted more than 3,000 pounds of plastic film and more than 30,000 pounds of cardboard from the landfill. Lunchables®, bagged chips, juice-in-a-bag, plastic sandwich bags... bottled drinks, to-go food containers, utensils… It’s items like these that can make lunchtime the most wasteful part of the day, whether you’re a kid or a grown-up. Never fear—our waste-free lunch guide is here! 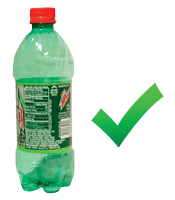 Can you recycle plastic lids and caps in Boulder County? Plastic screw-on caps, flat lids.. can you recycle them or not?? Here’s the scoop on one of our most frequently asked questions. 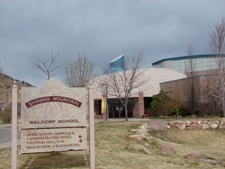 Boulder Valley Credit Union is our Zero Waste Business of the Month! It’s not every day that Eco-Cycle gets to honor a Business of the Month that has been around for 55 years! 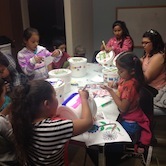 Boulder Valley Credit Union has set an impressive track record of programs that benefit the environment in that time. 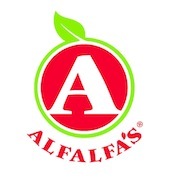 Eco-Cycle has been hard at work with the Alfalfa’s team to get the new Louisville store open on schedule. Long before doors opened in late June, Alfalfa’s management team brought Eco-Cycle in to help design the loading and receiving docks to make the back-of-house elements of sorting and hauling more efficient. Planning a party? Show off your eco-skills with our top 12 tips. Your guests will be buzzing about the good times and your creative, earth-friendly flair! Lafayette, Colorado works hard to implement curbside composting. Neighboring town Louisville continues to incentivize recycling over being wasteful. When it comes to helping families go for Zero Waste, apartments and condo complexes can face a host of challenges single-family homes don’t face. But in Boulder County, 17 different properties are recycling and composting all the waste they can with help from Eco-Cycle and its community partners. Congrats to Aji, our June 2014 Zero Waste Business of the Month! Going for Zero Waste is a priority at Aji -- educating staff on how to sort waste correctly is part of the training process, which makes it possible for the restaurant to recycle and compost a high percentage of its discards with us with very little contamination. 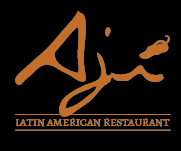 Eco-Cycle is excited to announce our next Zero Waste Business of the Month: Aji Latin American Restaurant in Boulder! Ah, the last days of school. With an urgency to wrap things up and start the summer, it’s no wonder students casually trash thousands of unwanted, partly or completely unused supplies. But not in Boulder County! Got dirt? Unfortunately, most of us Coloradans do, no thanks to pesticide use, depletion through harvesting, lawn clipping removal or neglect. But there's an easy way to turn your dirt into nutrient-rich soil: Our Microbe Brew tea, for your garden to drink! Available 7 days a week at the CHaRM. Read on for our video on how it works and how easy it is to use. 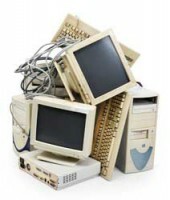 Local Businesses Divert more than 8,000 lbs of Electronics by hosting their own Hard-to-Recycle Events with Eco-Cycle! In April 2014, two Zero Waste Businesses -- Level 3 Communications and Via Mobility Services -- hosted their own recycling drive for hard-to-recycle items with some help from Eco-Cycle, diverting thousands of pounds of materials including electronics, block foam (Styrofoam) and bike parts from the landfill. 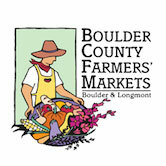 Did you know that in 2005, the Boulder Farmers’ Market became the nation’s first ongoing Zero Waste Event? Just three years later, the Longmont Farmers’ Market followed suit! What does it mean for a farmers’ market to go for Zero Waste? It’s essentially a microcosm of how a Zero Waste Community would work. Congrats to our newest Zero Waste Businesses! From research labs to thrift stores to banquet halls, our Zero Waste Business Services has a plan to make your company more sustainable. 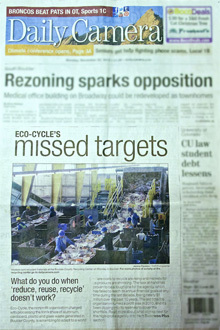 Eco-Cycle’s Zero Waste Event Season is under way and going strong! From Nederland to Longmont, Eco-Cycle has been holding down Zero Waste Stations at 36 different Boulder County community events this year with its invaluable and enthusiastic crew of volunteers in the rain, snow and sunshine. Our April 2014 Zero Waste Business of the Month: Longmont United Hospital! Through their recycling and composting programs, Longmont United upholds their mission statement of improving the health of their community. Last year, the hospital composted over 40 tons of food waste from their cafeterias with Eco-Cycle! Calling all of Boulder County! It's time we take control of our sustainable future. 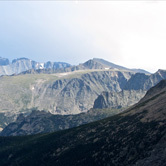 On April 22, Earth Day, there's an important event happening at the Boulder County Courthouse that has a huge impact on the future of environmental sustainability in Boulder County. 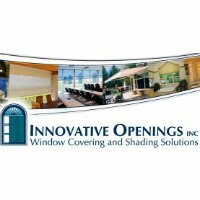 We need committed folks like you there! This community takes Zero Waste to a whole new level, going above and beyond to make sure each and every meeting and event is 100% Zero Waste. In their meeting hall, all food scraps are composted and students bring reusable containers from home in their lunches to reduce waste! It’s time to party at Kalmia Public Housing Community where residents have successfully set a new national model for sustainable multi-family living. 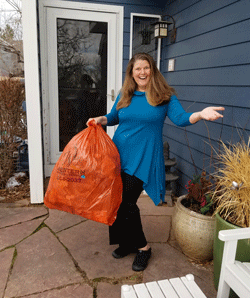 By working together as a community through the City of Boulder’s and Eco-Cycle’s new “Zero Waste Boulder Project,” the community has prevented 41% of their waste from going to the landfill. We get these questions all the time, and unfortunately, the answer is a little hard to, ahem, break down (forgive us…). But don’t fret -- just check out our new guide!